During the winter, you want to stay cozy and warm inside your home. While there are many ways to do this, unfortunately, some of them increase the chance of a fire. To stay safe and avoid filing a home insurance claim, follow these fire safety tips. You should expect to use your heating and vents more frequently during winter to regulate the temperature inside your home; however, remember that they become fire hazards when improperly maintained. Faulty electrical wiring may cause fires, so have an electrician inspect your home every few years. Fire from your heating system can easily spread through the vents, so clean them regularly to avoid buildup of dust and debris. Space heaters are a popular way to warm up chilly areas when temperatures drop. However, they’re one of the top reasons for house fires, raising home insurance premiums, and therefore should be used sparingly. Always leave some clearance around the heater, and move it away from flammable objects such as thin or dry linens, carpeting, and upholstery. Lighting candles is a cozy way to fill a room with scent. However, you should always keep an eye on candles and avoid leaving the room without first putting them out, making sure the embers are no longer glowing. Like the space heater, keep it away from anything that may catch fire. 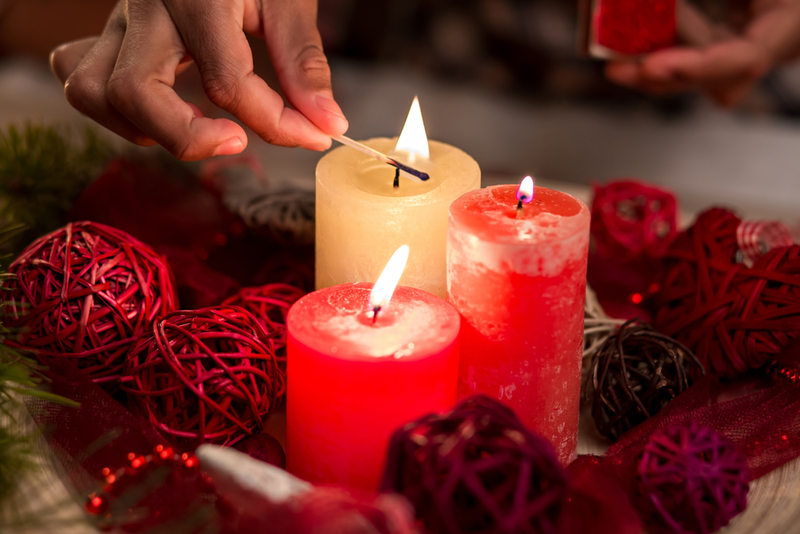 Avoid lighting a candle in a drafty room, in case embers fly off and land on flammable items. Chimneys carry gases and fumes out of your home while you burn wood in the fireplace. However, over time, a by-product called creosote slowly builds around the inner walls of the chimney. Creosote is flammable and is the reason why poorly maintained chimneys catch fire. Have professionals inspect and clean your chimney regularly to prevent buildup. Even fireproofed homes can experience incidents, so you need an insurance policy that will cover expenses if needed. Look to the insurance professionals at Cundiff & Company Insurance in Somerset, KY, to help you create a policy that suits your needs. For more than 40 years, they have served residents by providing custom quotes for auto, business, and home insurance. As independent agents, they can compare policies from multiple carriers to offer you the best rates. Call (606) 679-8379 to request a home insurance quote, and visit their website to explore their services.